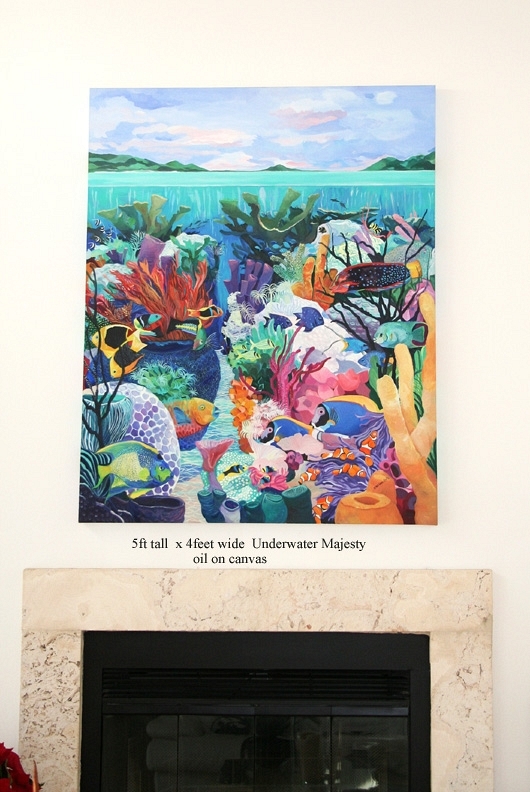 Original oil on 5ft x 4ft x 2″ canvas.. Gorgeous of the reef from a perspective of being a Diver. Dive away with me.. into the deep blue sea amongst the Angels and rock beauties, wrasses and sea plants. Into the deep blue abyss, so gently layed out before thee.